Figure 1: Triangle of Sustainability show is a way to interact with large amounts of Linked Spatiotemporal Data to support understanding of the ecological, social and economical dimensions of sustainable development. The Triangle of Sustainability (in German “Dreieck der Nachhaltigkeit”) by Thomas Bartoscheck and Tomi Kauppinen and their big team from the Institute for Geoinformatics at the University of Münster is a project which was awarded 8000€ and a second place in Wissenschaft interaktiv 2012, June 2–6, 2012, Lübeck, Germany. 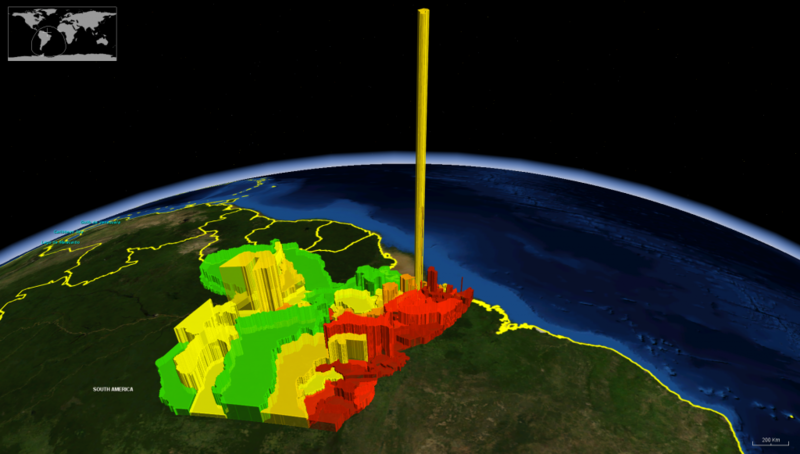 For example, Figure 1 shows how populations of Brazilian states are depicted by the height of the pillars, and accumulated deforestation rate is indicated with colors: with green the least amount, and with red the highest amount of observed change. 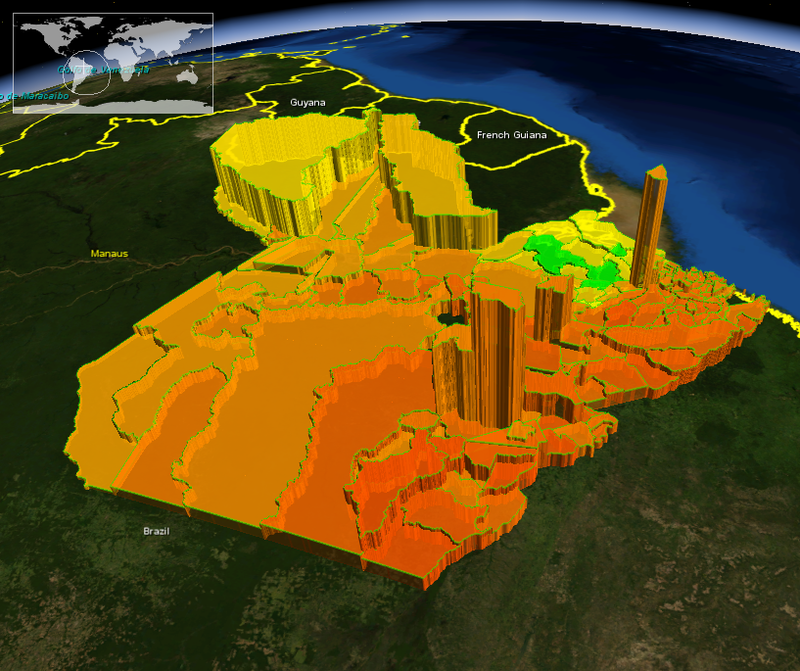 In Figure 2 the deforestation rates are plotted with color (darker color means more deforestation), and height of the pillars indicate the GDP of the given municipality in the Brazilian Amazon. Figure 2: Comparing GDP vs. deforestation rates. The resulting information can be explored on three screens (see the figure 3 above). The interaction is made extremely simple yet powerful, no additional tools are required for the participants. All the spatial and temporal information can be zoomed and panned simply by making gestures using hands. 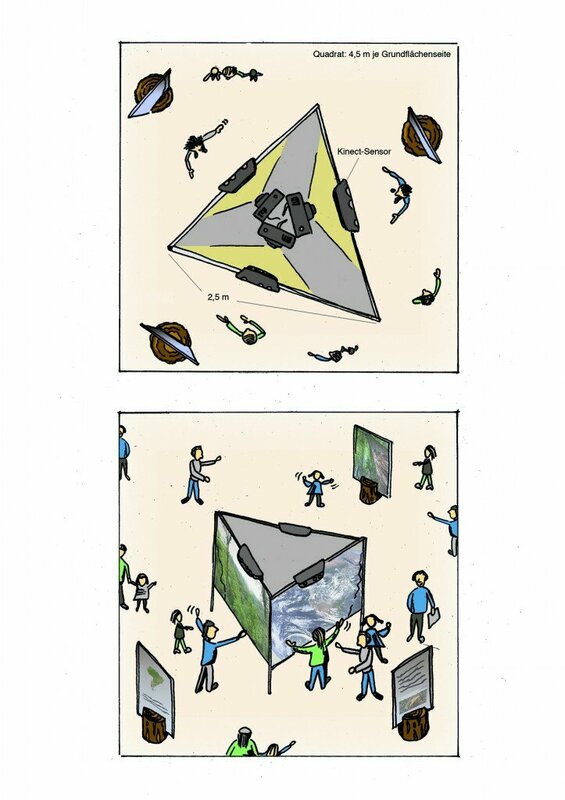 The two videos below gives the idea of how the interaction works.